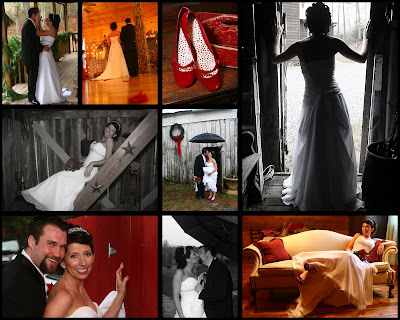 Brandy and Andrew were married on a rainy, rainy day in late December at Sampson's Hollow. The north was experiencing snowstorms strong enough many guests and family were unable to make it to the wedding. The wedding went on as scheduled and the two of them seemed so happy once the ceremony had finished. We were able to still capture some great outdoor shots thanks to the help of Leslie at Sampson's Hollow carrying the umbrella for them and the great smokehouse of course.